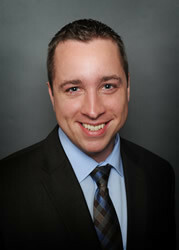 Jesse Walters has been involved in many different areas of TPS Group. After serving as an Administrative Assistant, he progressed into other aspects of maintaining and advancing the company. Walters' contributions include creating organizational systems, providing direct customer service support, designing marketing materials for various product roll-outs, providing local IT systems support and programming custom interface tools for administrative needs. He now primarily focuses on his role as a Benefits Consultant, providing detail-oriented insight into group benefits, medical insurance and compliance, as well as the various funding vehicles that accompany them. Walters received a Bachelor of Arts degree in Computer Information Systems from Buffalo State College in New York and an Associate’s Degree in Computer Art and Design from Alfred State College in Alfred, NY.